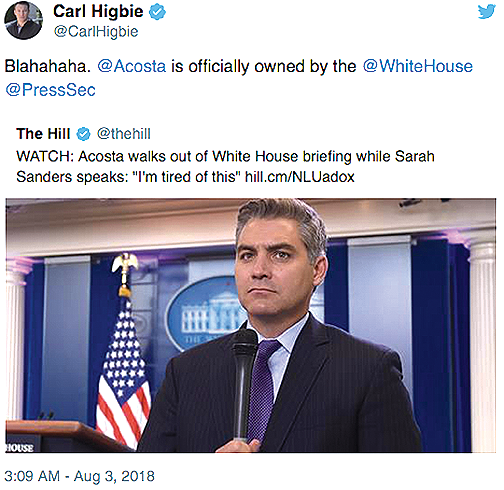 Immediately after being blasted by Sarah Sanders on Thursday, CNN’s Jim Acosta ran to the cameras to attack the White House press secretary and President Donald Trump. Acosta claimed he “walked out” of the press briefing in protest. 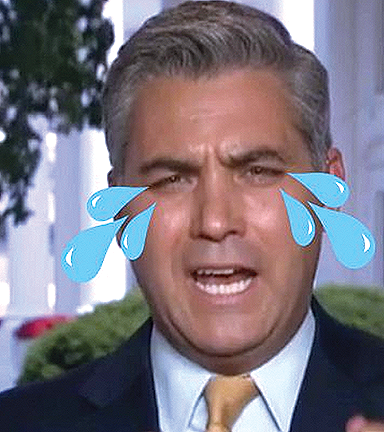 “I walked out of the end of that briefing because I am totally saddened by what just happened,” Acosta tweeted. Moments later, he was interviewed by CNN anchor Brooke Baldwin about exchange with Sanders. “I’m tired of this. Honestly, Brooke, I’m tired of this. It is not right. It is not fair. It is not just — it is un-American to come out here and call the press the enemy of the people — and Ivanka Trump knows that,” Acosta said. "I don’t know why her father doesn’t." 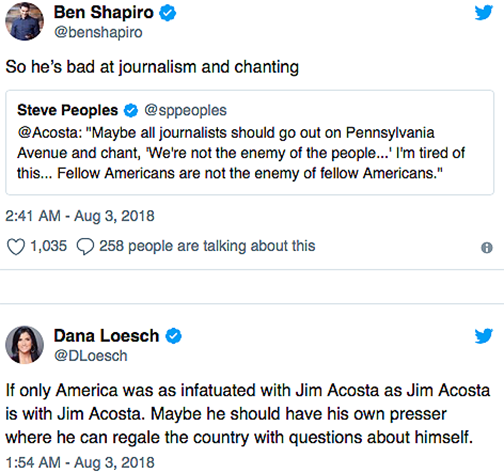 The interview immediately sparked mockery from Acosta's conservative critics. He continued, "And I don’t know why this press secretary doesn't. I mean she got yelled at a restaurant in Virginia. I feel sorry about that. I feel badly for her that happened. That comedian at the Correspondent’s Dinner said some unpleasant things about her. I’m sorry about that. She ought to read things that are said about my colleagues on CNN on a regular basis." In the same breath, Acosta called for everyone involved to calm down. Better luck next time, Jim.